Early last year, I met an Indian filmmaker. I’m a big fan of his work, and he seemed quite surprised to find an American girl who had seen his movies. During a conversation he mentioned the song “Mera Naam Chin Chin Chu” from the film Chalti Ka Naam Gaadi. “Hmm,” I said, “that’s from Howrah Bridge, not Chalti Ka Naam Gaadi.” His jaw dropped and he stared at me, astonished. I know my Helen songs. People always want to know: “Why?” What would make an American girl (not of Indian descent) like Hindi movies so much that she’s watched hundreds of them in the span of a few years? I don’t actually remember the first Hindi film that I saw, although it was probably on my first flight to India. I think for some reason that it was a film with Salman Khan. In any case, that first trip to India got me hooked on India itself. Like a magpie, I love bright, shiny things…and India is nothing if not bright and shiny! I revelled in the colorful clothes, the jewelry, the gorgeous architecture and breathtaking scenery, and most of all the open warmth of the people I met. Yes, there was terrible poverty—but I was also fascinated by the way such beauty and such ugliness could coexist side by side. Here in America, we segregate ourselves from what we don’t want to see or acknowledge. There’s really no escaping it in India, and I admire that. When I got home, I bought some Hindi films at random. One of them was Pyaar To Hona Hi Tha starring Kajol and Ajay Devgan. I quickly realized that it was copied directly from one of my favorite Hollywood movies, French Kiss—but I liked it even better! Thrown into the mix were an Indian wedding, outlandish outfits, Michael Jackson impersonators, gangsters, and the biggest plus of all—Ajay and Kajol. I loved them. I wanted to be friends with them. Everything I had loved about India was right there onscreen in front of me. I went back online to shop for more. I had no real basis for choosing movies, didn’t know any of the plot lines or actors, or music, or anything. I began blindly ordering best sellers and more films starring Ajay or Kajol. One of these was Kuch Kuch Hota Hai. I was completely charmed by Shah Rukh Khan. Before long I had every SRK movie, most of Ajay Devgan’s films, most of Kajol’s films and from there had discovered Sanjay Dutt, Aamir Khan and Rani Mukherjee. What kept me watching was the heartfelt emotion. I liked that men could cry openly, I liked how resilient and strong the women were (even if it annoyed me a little that they were always required to sacrifice). I felt drained at the end of each one (but in a good way, like when your favorite team wins a big match). I had never really been a big movie buff, didn’t have movie star “crushes,” although I saw films regularly like most people do. This was different. It was addictive. I had to have MORE. My obsession led me to the internet, where I discovered the whole huge world of “Bollywood.” I found out that many of these stars I’d been watching were related to stars from the past. By now they felt like family to ME! I began to order movies from the 60’s and 70’s so that I could see Sunil Dutt, Sharmila Tagore, Tanuja. I discovered Dharmendra, Hema Malini, and Shammi Kapoor (I really fell head over heels for Shammi—as everyone who knows anything about me knows—and would still fall at his feet were I lucky enough to meet him). I also fell in love with the music. It was so lyrical, so poetic (at least when the songs were subtitled) and so full of feeling. I started developing favorites among the music directors: Shankar-Jaikishan, Roshan, Ravi…and soon I knew when it was Rafi singing, or Mukesh, or Asha. I got some “Best of…” cds. Then I bought movies just because I loved the songs from them so much. And realized—hey, that’s why they release the music from a film earlier than the film itself in India! As I returned to India for more visits and saw more and more movies, infatuation waned; real love and affection took its place. 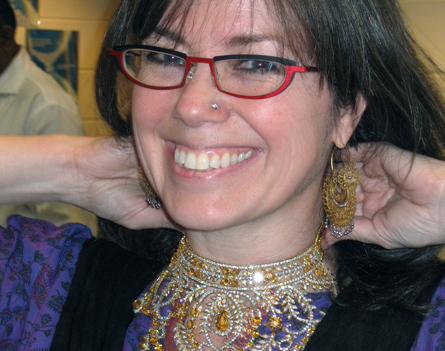 The stories were steeped in Indian culture and traditions: I learned what Holi is, and Karva Chauth. Some plots were outlandish, but I didn’t care. I loved how black or white everything was—just like me! I’ve always been a person who sees things in one extreme or the other. I love things or I hate them. There’s no middle ground. Hindi cinema seemed especially written for my sensibilities. I also became more critical. I discovered some movies that I didn’t like much, mostly because they condoned the subjugation of women or perpetrated stereotypes. But for the most part I felt I was discovering a whole new world, a world I increasingly felt at home in. I began to understand references inside films to other films, and to feel like part of a big happy movie-crazy family. And there are some really great movies. Guru Dutt’s beautifully lit films are like Rembrandt paintings. Sunil Dutt—even early in his career—made lovely thoughtful films which celebrated women and condemned the double standards they lived under. Vijay Anand’s thrillers enthralled me with their convoluted plots, fabulous go-go outfits and psychedelic sets. I learned how the post-Independence era’s optimism and hope was reflected in Raj Kapoor’s cinema, how the movies of the 1960’s provided escapist fare for an increasingly disillusioned public, how Amitabh Bachchan’s “angry young man” symbolized the bitterness of India’s youth towards an increasingly corrupt and uncaring bureacracy in the 1970’s. I guess what it really comes down to is that my initial attraction to the overwrought drama and glamour has evolved into a deep and abiding love for the heart, the spirit, and the optimism that Hindi films contain. I am grateful for what they have taught me about the country and people they represent. I admire the long, rich history of India’s cinema: the countless beautiful songs, the stories they tell, the actors, actresses, directors and musicians who have become so familiar. Like many, I am excited by advances made in Hindi filmmaking these days. It’s nice to see special effects that are *WOW* and cinematography that blows you away. I think experimentation is great. But I hope Hindi movies don’t lose what makes them uniquely “Indian”: the passion for life, the sheer exuberance, the songs and dancing. It’s magic. Posted on February 7, 2008 at 1:42 pm in Hindi movies, Yahoo! Shammi! | RSS feed You can skip to the end and leave a reply. My story – the short version – is in the fuchsia kurta in the last picture of your post. Some time I’ll get around to telling the long version. Brilliant. Thank you for putting into words what I never could. Although I LOVE the many shades of grey in life, (do you know how brilliantly grey can set off other colors, a warm grey, a cool grey, a greeny grey a pinky grey), and I don’t see life as black or white, I see life as a many shaded experience with many colors and emotions, I love Hindi films for allowing themselves to show this. A pure love of life with all our human problems, small or large, and the importance of laughing and crying and acknowledging life. Maybe it helps westerners to have travelled in India, I don’t know. I do know that’s what I loved when I was in India. The country was alive. People lived on the streets, died on the streets, the air smelled, beautiful mixed with ordinary, but it was alive. This week was Carnival in Europe, a chance for people to put on costumes and make fun of things and be stupid and laugh. The rest of the year they go to work and take care of their responsibilities and are afraid to laugh or cry because they may lose something. How sad for the West. Go ‘Bollywood’! Carla, I can’t wait to hear the long version! Me neither, Carla; and I hope to hear other stories too :-) I feel so envious of people who grew up watching these films…there isn’t time enough to see all the ones I want to (although I am trying!). You have a nose piercing? That is so desi! Did you get it done before or after you “discovered” India? Or is it a stick-on? Which Indian filmmaker did you meet? Oh, I want to hear everyone’s story. Mine was a roundabout way – I went to a Jain Society meeting at my uni, watched Gandhi, remembered how hot Roshan Seth is (a 12-year-old me obsession), watched everything with Roshan Seth, discovered Naseeruddin Shah, watched everything with Naseer and everything Parallel, then followed Naseer into mainstream Bollywood and never looked back. And now it’s just become silly. I too have started correcting Desis on movie trivia errors. Shashi’s my dreamboat. 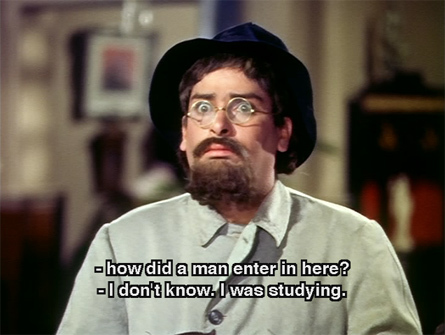 Naseer remains the best actor, though I’m starting to discovered the awesomeness of Raj Kapoor. Thanks for sharing all your stories! That’s so funny about your nose piercing. I also had mine done ages ago, 13 years or so, long before India found me, and I wasn’t thinking of it as a particularly Indian thing at the time, though I think people often assume it’s the other way round. Pre-pierced nose = nature’s call from India? Which filmmaker did you meet? Yes, lovely post. I especially enjoyed the way you describe your infatuation changing into love and affection, just as I am hoping it will do for me; somehow I am afraid that my infatuation might just flop like a cooled-down balloon! You know, one has loved too much and one morning one realises that one has actually been a fool, nothing more. But I know you’re right, the world of Indian culture is there, it won’t go away, and I will still I hope appreciate it when my crazy love wanes. Hi, Memsaab. What a beautiful post! I came across your blog a short time ago, and have quickly become hooked on your insightful commentary. What I admire most about your writing is not how dead-on accurate your thoughts are to my own, but rather the non-judgmental, open-minded honesty with which you write. As an American of Indian descent, I too like you and countless others, cannot help but notice the often jarring variation that is India. I appreciate that you can absorb the realities of India and verbalize it so accurately and joyfully! My dislikes in Indian cinema are few, but they mirror those you’ve already mentioned. Like you, I hope that Indian cinema and culture will shift away from certain gender stereotypes; I believe that much has been achieved in that vein, but much is left as well. Sorry for rambling! Just wanted to give you kudos for well written posts. Hope you keep it up! “I felt drained at the end of each one (but in a good way, like when your favorite team wins a big match).” I also totally get crushes on nearly each star in these movies. My co-blogger, Nandini and I call it the “Tiger Beat” (remember the old school teen magazine) and just laugh at the strong and silly star affect these movies bring out in us. Bollywood is truly like a big old sparkly onion isn’t it memsaab, just bright colorful shiny layer upon layer. More like a disco ball I suppose. Like you, I was never a movie buff until I hit Indian cinema. Pass the shiny pipe! I think the onion metaphor is perfect! The more you peel away layers, the shinier it gets :-) It drives me insane when people say all “Bollywood” movies are the same. They are so NOT. But they are addictive in a way that western movies never were for me. Thanks for the link. I like to hear how people discovered Hindi films if they didn’t grow up with them. Wow, I just read your story! Thanks so much for sharing. I really enjoyed it! Beautiful account of how you discovered Bollywood movies. Lovely. Great description. Altough I do wonder at times. because some of the movies you like, make me cringe with embarassment. Thanks to you a desire has awakened in me to look at them with your eyes. BTW, your story of discovering hindi films sounds a lil bit like me exploring opera. Frankly speaking, I’m humbled! You know more about Hindi movies than me!! Lovely to find your blog…. brought about some nice nostalgia. Aww, thanks Kunal :) I have a lot left to learn, which keeps it interesting and rewarding. So many films, so little time! I read this post again, and loved reading it again. I cannot have enough to reading this post again and again, much like how I do with some favourite songs of mine. Wow! im speechless hearing ur story…im insane about hindi movies as well coz i grew up w it. mum’s from india,she brought back the whole culture of watching n falling in love with hindi movies n it soon became my way of live since i was a kid n i dun want it to b any different now but i lack ppl like u here,im from malaysia btw..most indian ppl r almost like ashamed to b acknowleged as indians (pathetic i feel) n they think it’s reli stupid to even like bollywood movies n the whole drama which makes me feel a little left out coz i can never discuss the excitement i get from every movie i watch or the songs tat i listen to. it’s like i hv nobody to share the passion w n it’s amazing tat u like u said an American girl (not of Indian descent) can like it soo much n acknowledge the fact tat u do feels like to me as if i hv just seen aliens! anyways,all i wanted to say tat it feels really good to hv come across ur blog by chance! Cheers! Sangita, thanks :) I have often felt quite alone myself, until I started this blog! Most of my friends and family don’t get it either. But they humor me, and people who read my ramblings on here make me feel less alien too! im up at this very moment trying get hold of some songs, i just watched fashion n i felt like i cudnt sleep if i didnt find the songs from the movie like some druggie n now tat i hv found them and a few more other songs i feel like i can go to bed now n b at peace,lol! You are so lucky :-) Although I have my own memories of the 70s here in the US (I love “That 70s Show”), and Hollywood films through the decades, I have so much catching up to do. And Bombay is one of my favorite places on earth, it really truly is. International Crook just arrived in my mailbox, so stay tuned! Hi Memsaab, i chanced upon your site while googling for Shammi Kapoor. Love him. 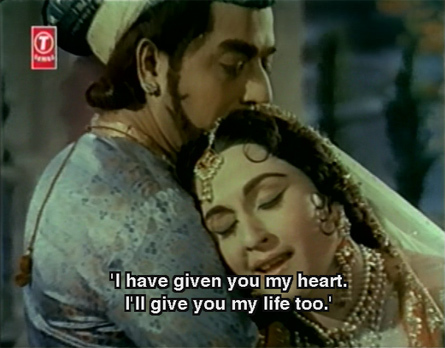 I was also looking for people who love Hindi movies from the 50s and 60s and found your blog. Am I glad?!….. salut bluelotus. je suis un fan des films hindis des années 50-60-70 et j’aimerai trouver quelqu’un avec qui parler du cinéma indien classique.je suis devenu nostalgique car j’aime surtout les chansons qui me mettent en transes. si vous désirez prendre contact avec moi n’hésitez pas. je suis un algerien et j’aime le cinéma indien depuis mon enfance c’est a dire depuis les années soixantes. par contre je ne suis pas attiré par le nouveau cinéma de kajol, ajay devgan etc. Wow! I wouldn’t know my Howrah Bridge from Chalti Ka Naam Gaadi…and this, despite of being an Indian and having watched both these films a number of times. What can I say? I am impressed. And please ask Rajkumar Hirani when you speak to him next if he is definitely making ‘Munnabhai Chale Amrika’…Been a very long time since I’ve had my Jadu Ki Jhappi!!!! bluelotus: Welcome :) Yay Shammi!!!! I adore him. Look forward to your input on my posts! Anorak: He definitely will be making Munnabhai Chale Amrika, I think the script is being written (early stages). He has to finish 3 Idiots first, but there is positively another Munna film in the works. I miss them too! 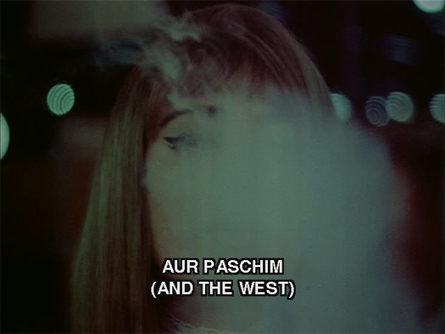 That whole string of dialog is lifted from another movie done at least 10 years before SHOLAY. WHich one? I am most assuredly NOT a desi guy :-D I’m not even a desi girl! Great trivia question, and I am stumped. But I have very knowledgeable readers so someone might get it! And I’ll think about it some more. That SHOLAY dialogue Salim Khna (writer from Salim-javed) mentioned in his interview that he got it from real life, his own! 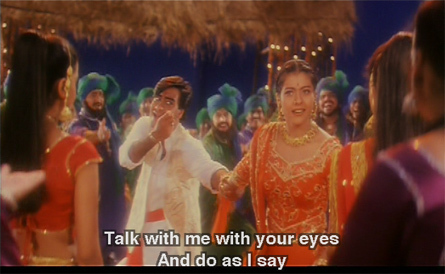 He had similar interaction with Javed’s mother-in-law (ex-wife Honey-Irani). Memsaab, I think that is a very uncharitable remark from Southie about desi guys. Some of the desi guys who do blog about hindi movies are genuine in describing themselves upfront in their profile and have demonstrated that they don’t need to resort to a pseudoname to gather attention. Examples include The Bollywood Fan, Akshay Shah’s blog, Doc Bollywood etc. I wonder where this suspicion comes from? I will have to let Southie answer that, but I am going to take the view that he/she was not saying there aren’t great desi men blogging out here! Just that there may be some who do hide behind false fronts for whatever reason, which is probably true (and is probably true for most demographics as well). Good trivia question, Southie. I remember watching “Half Ticket” with family a while back and there was an exchange between a pandit and Vijay (Kishore Kumar), and we all looked at each other and thought, “Hmm… this is kind of like the Jai and Mausi scene in Sholay!” Except the difference being that the pandit came to Vijay’s house to inquire about him for marriage discussions, but Vijay pretends to be the gardener and describes Vijay a little like the way Jai does Veeru. So I guess “Half Ticket” be my answer. Oh good memory, Sy!!!!! I remember that! Bang on… Sy on trivia on Half TIcket and SHolay and Mausi connection. Thanks for that, and for the compliments and sweet apologies. Om shanti shanti shanti! .. But I came across at least 2 movies that end with a song (full version) which appear for the FIRST time in the movies…. When the song ends… you see THE END on the screen. Memsaab, give a bakshish of a new photo of your puppy to the first person who gets it right… and bonus for any one who gets the 3rd or more movie. I’m curious to know what movies those are. I am hoping and guessing that the answers are oldies but just a random guess: one of them wouldn’t be Bunty aur Babli, would it? Hi Kanan… I have seen BnB and actually you are right… THough this is one where the titles roll over.. but “Nach Baliye” is played for the first time in the movie. if I am not mistaken…. Now that I think of it even Singh is Kingh had the title song (with Snoop Dogg Dog) play when the credits roll… and I believe even “Mahiya” in “Jab we Met”… … and I just remembered Raju Chacha (Mem’s favorite jodi… Ajay/Kajol) … I guess they did not have enough film and stuck it at the end with credits. I can only imagine it must have been a shock to the viewers when they watch it in a theather… sit through the whole song waiting for the next plot line and suddenly… THE END. What say memsaab, I probably should post them in the Trivia section? I have been thinking about that since you posted the first question :-) Give me a day or two to figure out how to make it work! Very good idea..to have a trivia section. Hero and heroine drive off in a car. Hero switches on the radio – and a certain song plays. Can you name the song ? It is an oldie – and it is a fairly famous song. Just want to clarify, that last post as Anonymous was by me. And the song is not from some other movie that happens to be playing here. It is a song that is effectively a song of this movie. It is not necessary that one of the players was a musician. This just happens to be a song that plays on the radio when the hero switches it on as he enters the car – with the heroine by the side. It is not a song of some other movie, just a song of this movie. It is a 1960s movie. Come to think of it, it could also have been a cassette player (I don’t think they had them in those days). Or, more likely, a transistor that the hero had with him. They don’t show that – they just show the hero switching on something (that seems like a radio) and then the song plays. Anyway, it is one of your favourite heroes (I think :-)). Ok… looked at your clue… I vaguely remember “Tum Se Acha Kaun Hain”… Shammi does something of this sort with Babita while driving. trying to scare her..
Come to think of it, it is quite a tough question. I saw this movie only recently – that is why this is fresh in my mind. For confirmation that it is being played in the car, watch it from 5:05. I must say that some movies have not character development expecting the audience to understand that the hero is yes, after all the hero and what else do you need to know????? Like the initial intro to Shammi ji’s character in Tumse Accha Kaun Hai. A western movie would have developed his character more. But in Hindi films there was a certain “hero” traditional character that was accepted. Also no pelvic motions from our Elvis as there was in the Ed Sullivan show of the original. Or did I miss a movie before Teesri Manzil somewhere where he does this? Great stories, awesome comments. I grew up in India and along with comes bollywood and big imagination!! but having lived in the US for so long, I lost touch and really disliked them. Often considering them trite. But living in the Pacific now has re-ignited my love for Bollywood and i see it in a different light. The songs are sheer poetry, the imagery is so fairy tale like…..and teh dialogues so rent with emotion that even as know it is all unreal we get pulled in…. thanks for blog. A friend from India forwarded me this, and so you can image you have quite a few readers!! Thanks for commenting UCU :-) I agree—Hindi films are so wonderfully emotional that it’s addictive. I’m glad I finally found them, and that you have returned to them! Wow! I have never read this before, and it was so well put and such a beautiful tribute to a culture you love and respect very deeply. Thank you for sharing your story with us! Hi, I am very exited to see how an american like you like our movies. Some of the Hindi Movies are very good but sometimes they are boring and predictables and full of silly sentiments. By the way, Do you like to see other indian language movies? I am bengali and I think that you must see some old bengali movies as they are very good. Start with Uttamkumar movies. I do want to see some Bengali films (have seen Satyajit Ray films of course, but need to see more from other filmmakers there!). First and foremost, my most sincere kudos on this incredible fount of information. 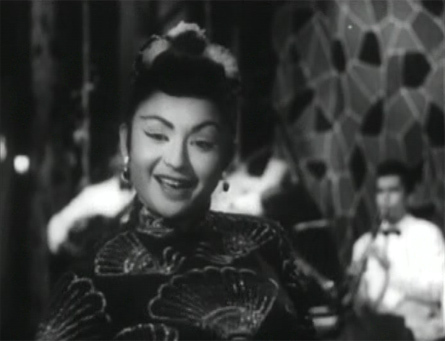 I came to your blog via an internet search for the movie Cha Cha Cha (1964), because while indexing (rather) belatedly my pre-1980 Hindi song collection, I came across “Ek Chameli ke Mandve Tale” from Cha Cha Cha. Now, the title of the song is rather traditional and the movie name jarred so incredibly I was piqued to know more. I will watch Cha Cha Cha at the earliest possible. I will definitely blogroll you and possibly bug you a lot about movie trivia. The defining loves of my life are movies, music, trivia and writing, and indexing my collection has been akin to stumbling into an oil well. Please feel free to e-mail me if you have unusual song requests – my collection spans the 40s through the present and is ever expanding. I am so glad I came across/stumbled on his blog! Will have to catch up on your posts – what a pleasue to look forward to! Oh thanks Raji, that is so nice to hear :) Do keep coming back! I imagine you are looking for 1955’s Uran Khatola, and I think it’s fairly easy to find on DVD. Hello Memsaab: I bumped into your blog accidentally and so glad that I did. Amazing to see someone so far away- physically and culturally, to have such genuine connection and deep imersion into an experience that almost requires you to be born in India. Must be India born in your last life … (Can’t help the thought — after all I am influenced by melodramatic Hindi cinema). Unlike you, I was born in India and migrated to USA many years ago. Had lost connection to Hindi cinema due to hectic pace and rat race priorities. Your blog took me down on a Memory Lane. My heart and mind is still stuck in sixties and seventies. Wish you could enjoy the beautiful melodies of Sixties !!! I’m glad you did too :))) I’m always happy to meet other “oldies” fans. I think maybe I am preparing to be Indian in my NEXT life! Hindi films are much easier to find now than they used to be—hope you can track down some of your favorites and enjoy them again. There’s nothing else like them! Wonderful post. Just discovered your blog though have read your comments at Beth’s blog. I love Beth’s blog :) And thanks! Memsaab, one thing still eludes me even after I gorged on your fabulous description of yourself. How do you manage to understand the dialogues in Hindi? Is it only through the captions? Just too good memsaab…you write so well. I am gonna extract a line or two from a couple of your film reviews, and credit you for the same in an upcoming book. Hope that’s ok? Cheers! I don’t mind as long as you give me credit, and let me know what the book is!!!! I must say that i also love South Indian films, Telugu, Tamil and esp Kerala, they are more grounded, natural and show a lot of outdoors. Music can be terrific, if you like it a bit oriental. But i also like silly masala. I tried some renowned Bengali movies, but just can’t get accustomed to them with lots of self-reflecting discussions and less inspiring music. My own way towards Bollywood? In a terrible phase of my life, a friend dropped a home-copied DVD in my home. He had inscripted it with “Om Shanti Om”. Funny words, i thought. I like it exotic. I popped the DVD into the PC just to see if the machine could read it. I jumped into a random part of the film and thought – “aww, that guy in a blue-red chequered jacket looks smart”. Then a lady in a pink sari appeared and sweeped me OFF the office chair. When i managed to get back to my feet, about two days later, i bought a Bluray Player and a Full HD beamer. Yes, i have friends too who tell me how silly Bollywood is (without having seen one movie, just judging from DVD covers). But in our small town, we also have a small, highly informal “Bollywood Club” and about once a month we build up the beamer in a nice room and watch a mainstream bolly together (oh, and have tons of snacks and liters of chai with it). After having traveled in other poor countries, Bollywood inspired me to go to India. For some funny reasons, i did not visit any Hindi speaking area, but had a good time in the Himalaya, Kolkata and northern Kerala. I quickly noted that people don’t like to hear my Bollywood-aquired Hindi there. They very much prefer to converse in English. How nice :) Actually, there are so many “guides” here, each with his/her own interests and knowledge…I have learned so much from so many. Glad you are here! 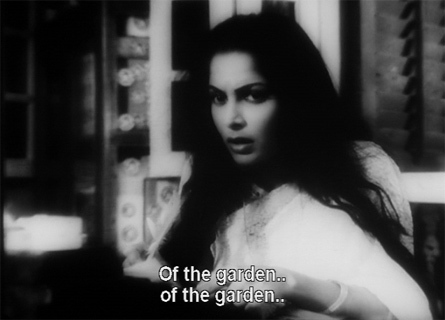 I also like to explain my love for Hindi films as stemming from my love for extremes as well – i.e. people (especially Indians..) tease me for every say trying something that is the “best ever”. I am so excited to finally join this whole “white people who love Bollywood and blog about it” world! I’m a 20 year old college student and I came across your blog while debating a point related to the Feroz Khan-Sharmila Tagore-Rajesh Khanna movie Safar with a friend (I won). That was an hour and a half back. I’m deeply fascinated by your love for bollywood, and being a die-hard movie buff, I enjoyed reading your reviews. Also, memsa’ab, that theme song of yours is sheer brilliance! One of my all time favourite hindi movies is the 1956 film, Chori Chori, starring Raj Kapoor and Nargis. Although there have been various other newer movies that somebody my age enjoys watching immensely, this old black and white movie, and it’s melodious tracks (Lata Mangeshkar and Md. Rafi! Shankar Jaikishan’s music). I believe this movie is a remake of ‘It Happened One Night’, but I’ve never watched the original. Anyhow, I was looking for the movie on your blog and you don’t seem to have written anything on it. In case you are yet to watch it, may I please please recommend it? Love your blog. Been following your work for years now. How can we get in touch, please? This is great.. this will be helpful. Good job, Keep it up . My wishes are with you.